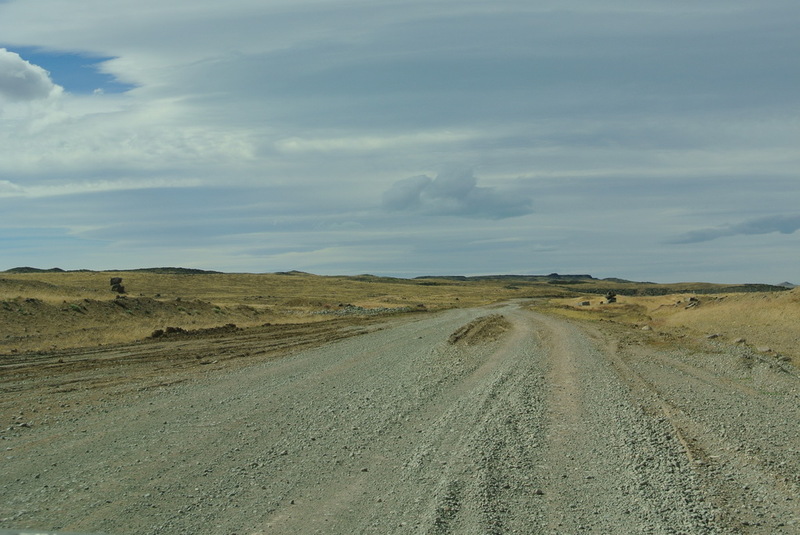 We slowly start to cross the continent on the other direction : from south to north. The goal is to head north on the Chilean side, but due to the total lack of road on the pacific coast, cut out into thousands of islands and isolated fjords, we will have to go back and forth Chile and Argentina few times. From El Chalten, though very close to the border, we drive 500km to find an opened border post : here is the Andean Cordillera! 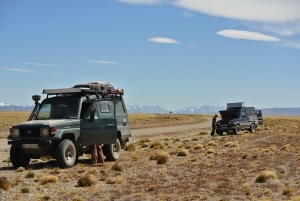 On the way, we stop in Perito Moreno national park. Nothing to do with the glacier of the same name, Argentina worships this man and name many different things after him. 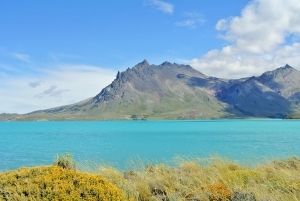 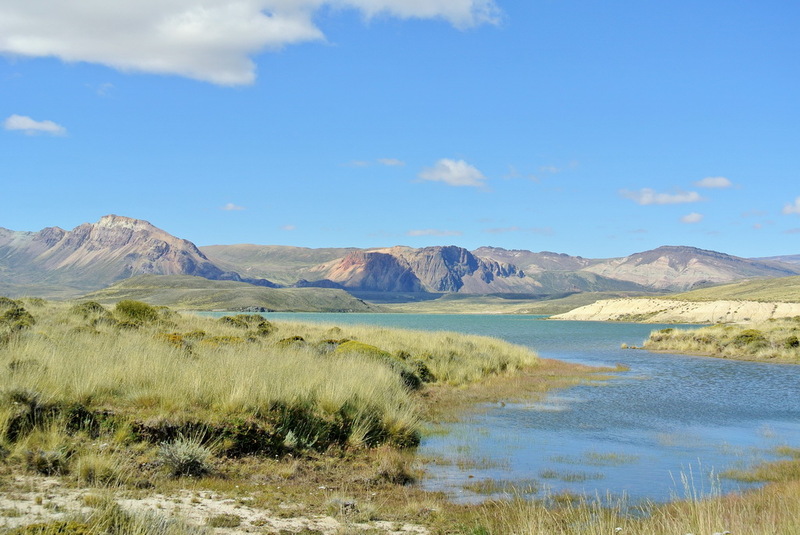 The landscape is wild, a mix a multicolored volcanic rocks, swamps where flamingos pass by, and deep blue lakes. 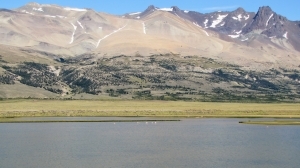 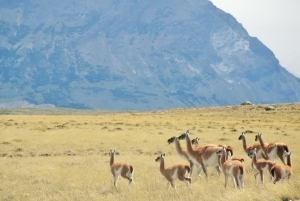 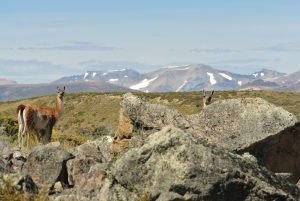 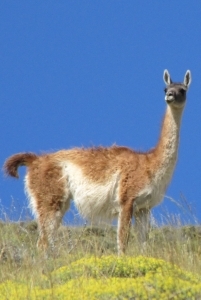 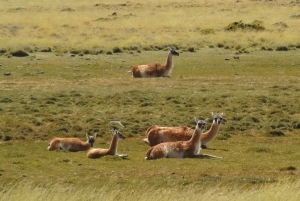 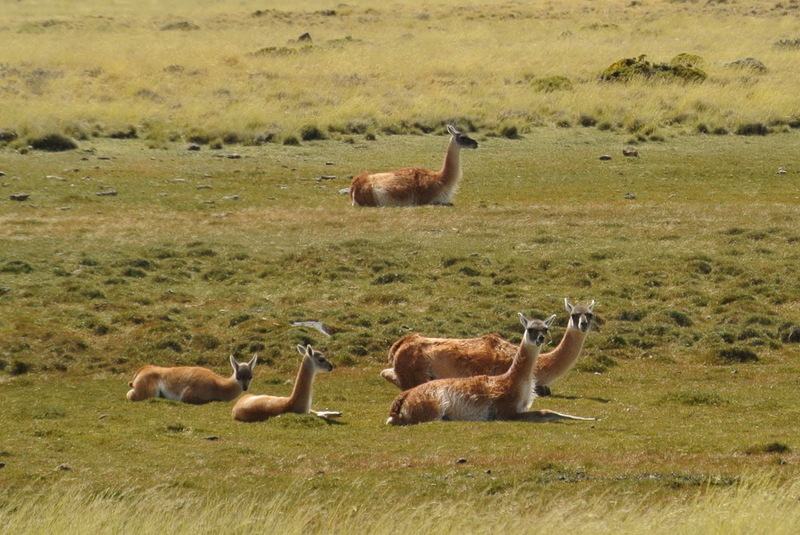 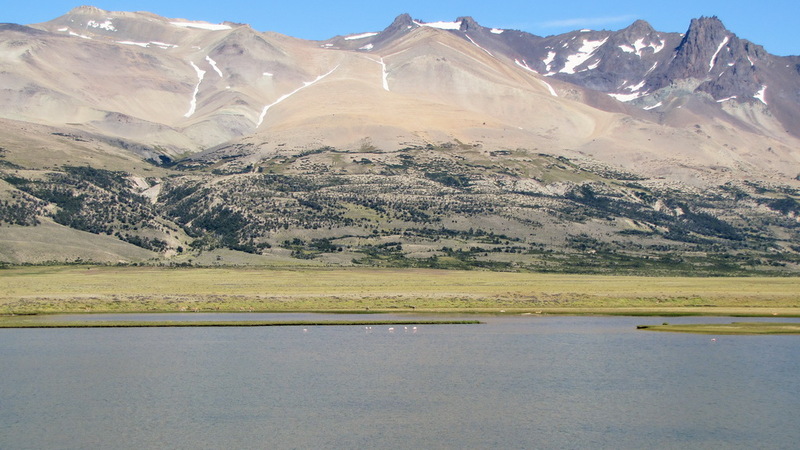 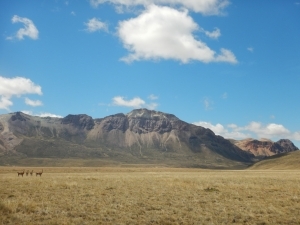 A welcomed stopover, where, after very touristic places, we see only guanacos. 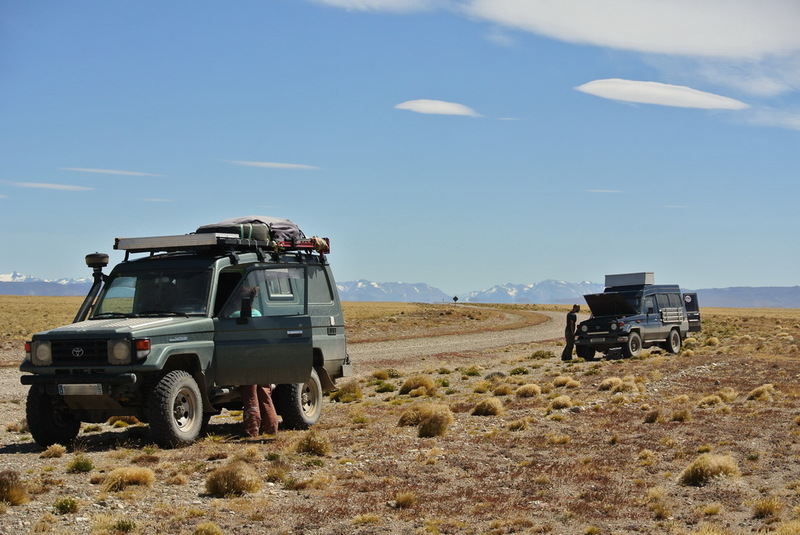 And a couple of swiss travelers with the exact same car as us whom we’ll meet many times later! On the negative side, we were quite cold, which was surprising after the good weather we had when visiting the glaciers area. 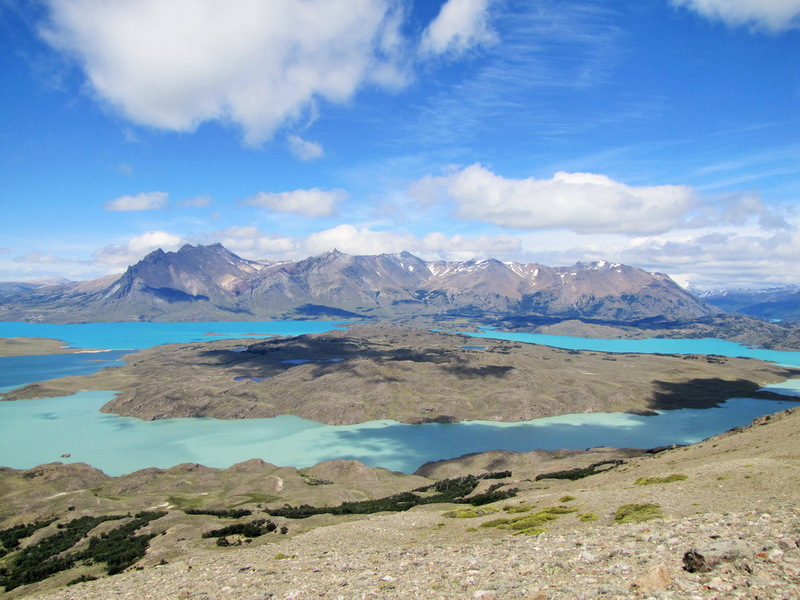 that’s Patagonia, where temperature differences can be as strong as the wind. 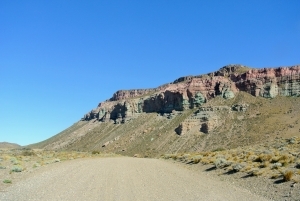 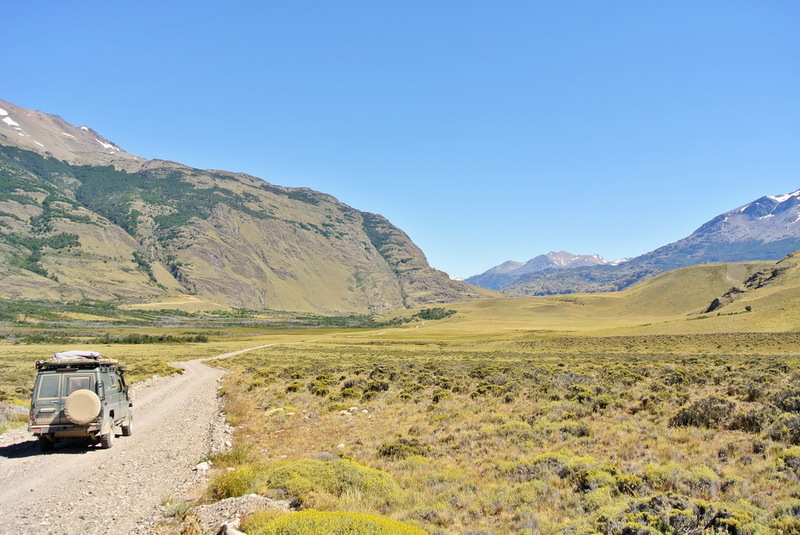 We drive a bit more on the road 40, passing by clusters of houses described as villages, before turning into a track heading to chile, via Rabalo pass. 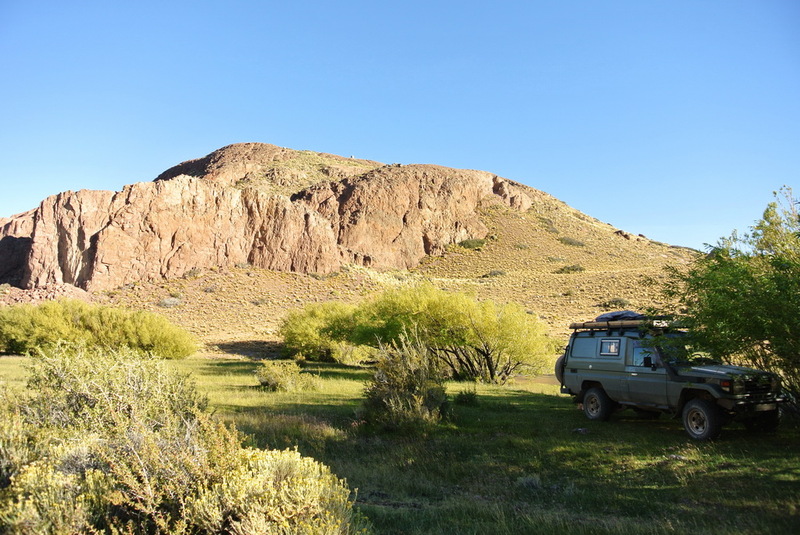 The weather is warm again, and we take the chance to use our open shower., which we haven’t since we arrived in Patagonia. 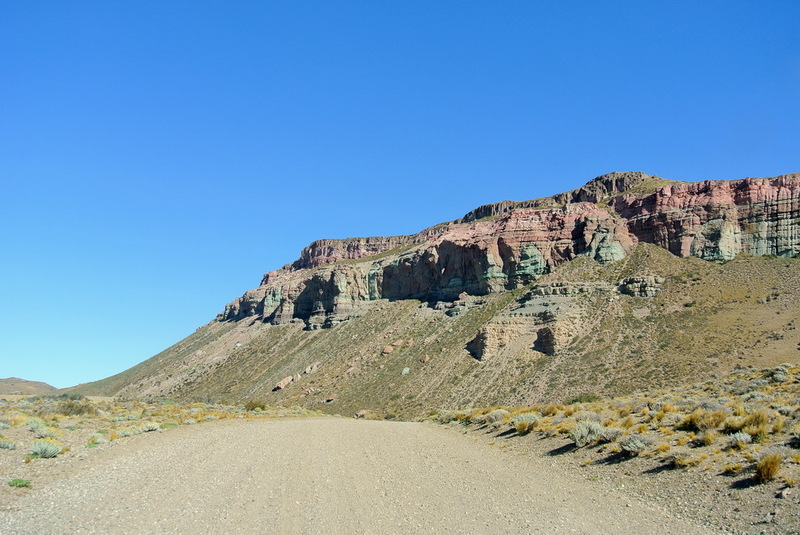 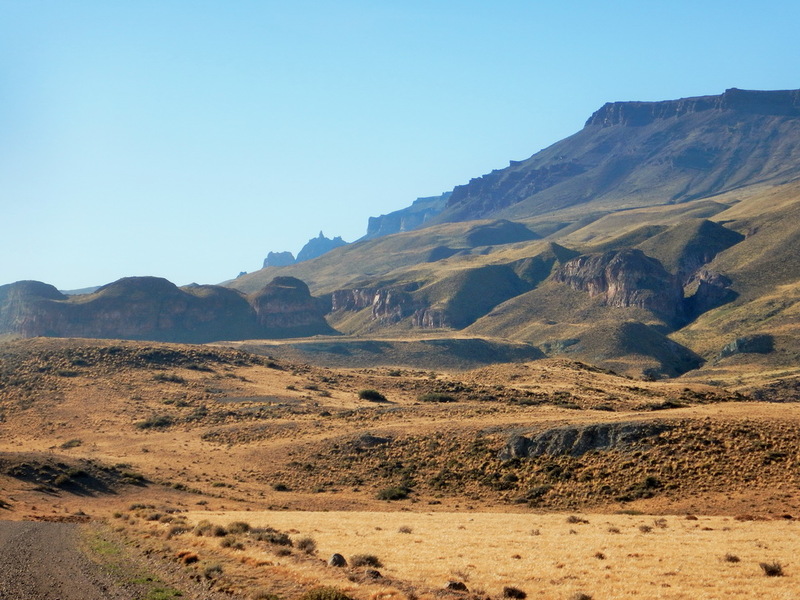 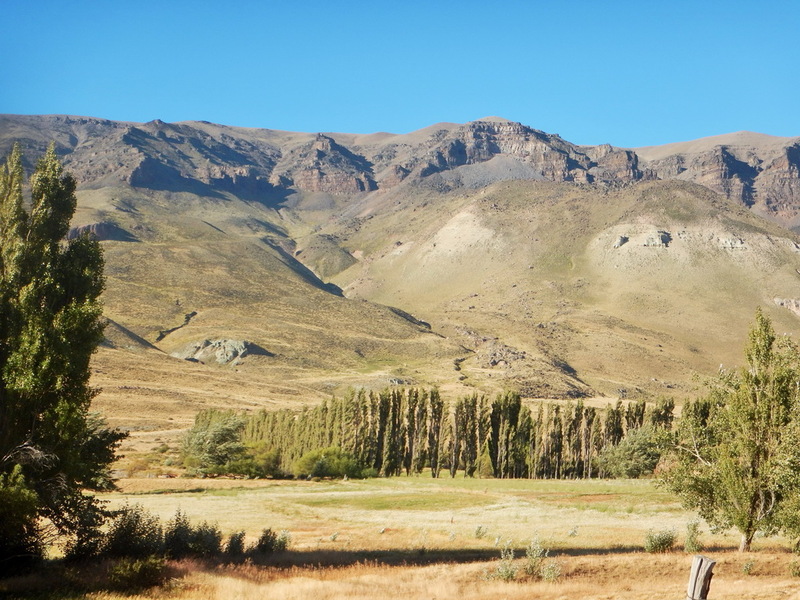 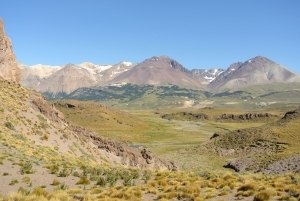 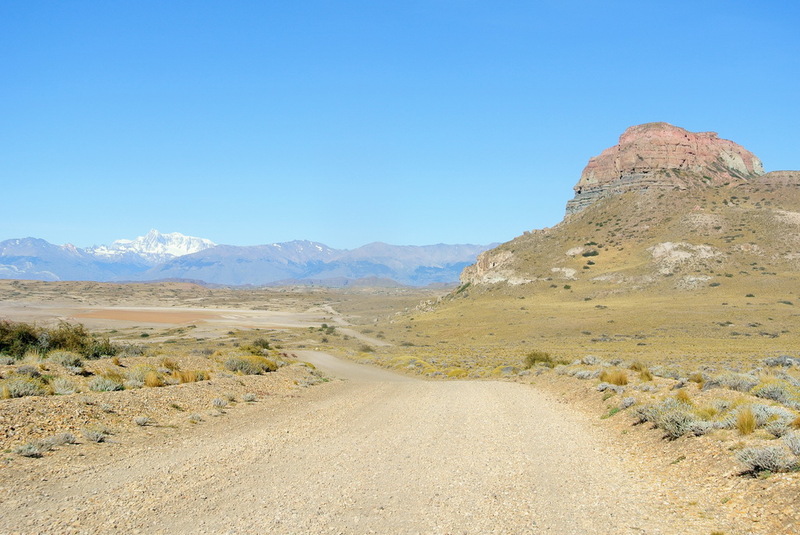 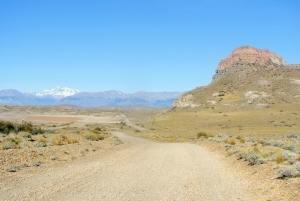 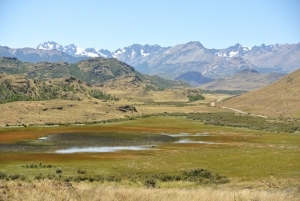 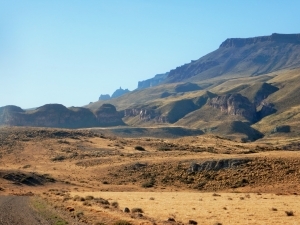 Landscapes are typical of the area : the Argentinian side is barren, a mix of pampa and volcanic mountains, but as we pass the border (barely a wood hut with horses, cows and hens) greenery is back. 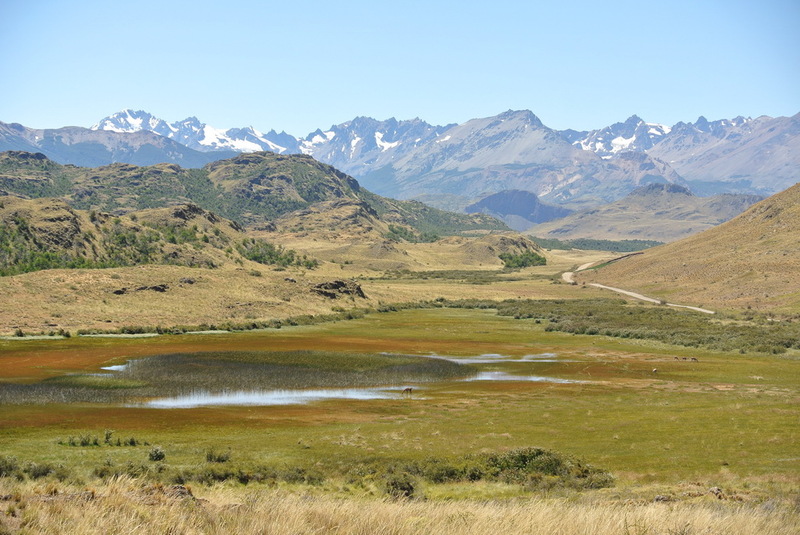 Indeed, chile is much more wet as the clouds are stopped there by the Andes. 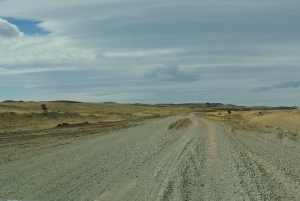 Let's hope we won't get too wet.